May bank holiday is the start of the UK Summer sailing season. Kick start your sailing with our ever popular Solent Sailing Adventure and hop on board one of our fast Beneteau Oceanis 37 training yachts in the convenient but testing waters of the Britain's mecca for yachties, the Solent. 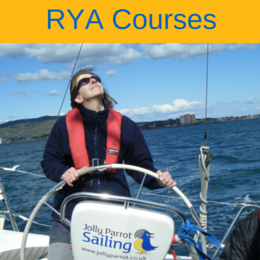 During this exciting three day adventure starting from Port Hamble Marina, Southampton, under the guidance of an RYA Yachtmaster Instructor, you will cruise the challenging waters of the Solent where you will have every opportunity to practice perfecting your sail trim, navigation skills and general skippering abilities. With two identical matched yachts there will inevitably be a cheeky little race or three. So if you have ever wanted to get that last little half a knot out of your boat join us and discover how to trim your sails properly while having some Jolly Good fun!! With the many picturesque ports and marinas dotted around the Solent area we are truly spoiled for choice for our evening destinations where we will avail ourselves of local amenities. 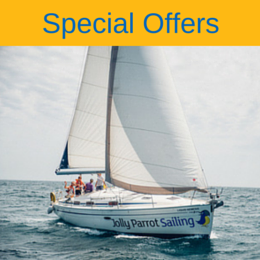 No experience is required so even if you are a complete novice you will be welcome on board to share the Jolly Parrot Experience! As always this event is sure to fill quickly so don't delay book today..
Start: 09:30 Saturday 25th May at Port Hamble marina. Finish: 16:30 Monday 27th May at Port Hamble marina.